A Place for Mom: Senior living advisors. American Federation on Aging: "Knowledge we all need to live healthier, longer lives." BenefitCheckUp: A helpful site by the non-profit National Council on the Aging. Guide to state, federal programs helping seniors and caregivers. Caregiver Magazine: Caregiver Media Group (Today's Caregiver Magazine, Caregiver.com, etc.) and all of it's products are developed for caregivers, about caregivers and by caregivers. Center for Healthy Aging: A non-profit organization whose mission is to meet the needs of aging adults and their families. Encore: Founded in 1998, works to expand the contribution of older Americans to society. Associated with the Experience Corps. Experience Corps: that places a critical mass of older adult volunteers in schools and youth-focused organizations in their communities. Clairemont Community News: What's going on in Clairemont! Elder Law Answers: A site with good legal information and more for seniors and the elderly. Eldercare Locator U.S.: service to find programs and supportive services to help people care for an older member of their family in their homes and communities. Experience Works: is the new name for Green Thumb, which claims to be the country's oldest and largest provider of mature-worker training and employment. Foundation Fighting Blindness -Mission is to find the causes, treatments, preventions, and cures for retinitis pigmentosa (RP), macular degeneration, Usher syndrome and the entire spectrum of retinal degenerative diseases. Glenner Memory Center: Specialized Adult Day Programs and Family Resources. Health and Retirement Study: One of the leaders in researching aging. Impowerage: Senior Health & Wellness Magazine - An online magazine for active seniors and with articles on fitness, wellness, lifestyle and more. Ivanhoe Broadcasting (Health News): Helping you embrace the aging wellness movement and ride the wave of success. This Website by Ivanhoe Broadcast News is emerging as a growing source of health news for senior citizens. Long Term Care Link: A comprehensive, noncommercial source of long-term care information. MedicAlert: Founded in 1956, this is one of the world's largest nonprofit membership organizations with a mission to protect and save lives. MedicAlert provides a secure transfer of identification and medical information to health and safety professionals 24 hours a day anywhere in the world. Serve more than 4 million members around the globe. Medicare News Watch: Medicare news for beneficiaries, caregivers and healthcare professionals. Medicare Rights Center : A national, not-for-profit organization that helps ensure that older adults and people with disabilities get good affordable health care. National Awareness Coordinator for the Mesothelioma Center: Provides services and free resources for patients and families affected by mesothelioma. National Committee to Preserve Social Security: Broad-based group that speaks often on Social Security issues. National Council on the Aging (NCOA): the nation's first national, nonprofit group of people and organizations dedicated to promoting the dignity, independence, well-being, and contributions of older people. OASIS: A national nonprofit educational organization designed to enhance the quality of life for mature adults. Offering challenging programs in the arts, humanities, wellness, technology and volunteer service, OASIS creates opportunities for older adults to continue their personal growth and provide meaningful service to the community. PACE: Programs of All-inclusive Care for the Elderly (PACE) provide and coordinate all needed preventive, primary, acute and long term care services so that older individuals can continue living in the community. Retirement Net: Claims to be the world's leading online retirement resource! Finding the right home has never been faster or easier. Retirement Research Foundation: A non-profit foundation to help retired senior citizens. San Diego County Council on Aging: A Multidisciplinary Organization that Promotes Education, Awareness, and Networking in San Diego County to Enhance the Quality of Life for Seniors. Sam and Rosa Stein Institute for Research on Aging: An Organized Research Unit under the auspices of the University of California, San Diego with a commitment to advancing lifelong health and independence through research, education, and patient care. Savvy Senior: Website by the author of the nationally syndicated newspaper column "Savvy Senior." Senior Center: Another senior portal site. Seniors Coalition: A non-profit, 501c(4), non-partisan, education and issue advocacy organization that represents the interests and concerns of America's senior citizens at both the state and federal levels. SeniorLinkOnline : A learning center dedicated to helping caregivers with information, support and expert advice about eldercare. Subscribers can contact a Seniorlink care advisor for personalized help and to create an eldercare plan. 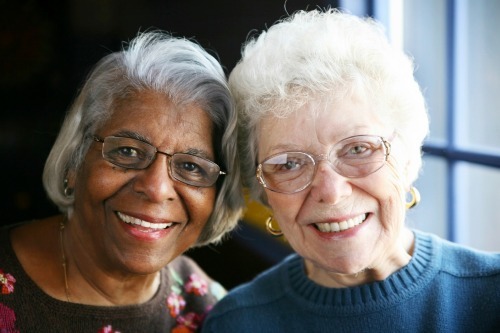 Senior Sites: Lists non-profit providers of senior housing, health care, and services. Shepherd Centers: shepherdcenters.org - People of all faiths work together in Shepherd's Centers to help older adults sustain and celebrate life. St Pauls: A nonprofit retirement community with independent, assisted living and skilled nursing communities as well as an intergenerational day care program and Program of All-inclusive Care for the Elderly (PACE).